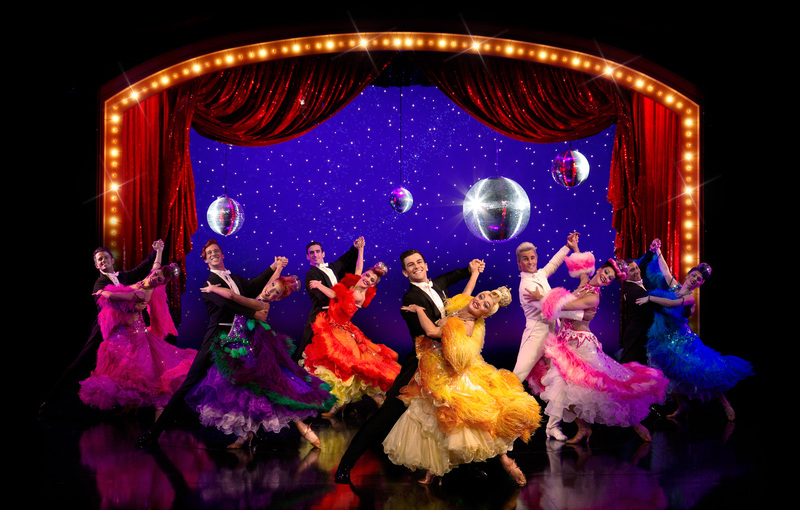 Impossibly spectacular, Strictly Ballroom the Musical is a lavish, eye-popping extravaganza with a heartfelt story at its core. Produced on almost epic scale, the design extends right throughout the auditorium, making it one of the best looking shows ever to be seen in the Lyric. With production elements at five star levels, when the show takes off and flies it really soars. Unfortunately, the high points are all too often subsequently grounded by the mishmash of musical styles. 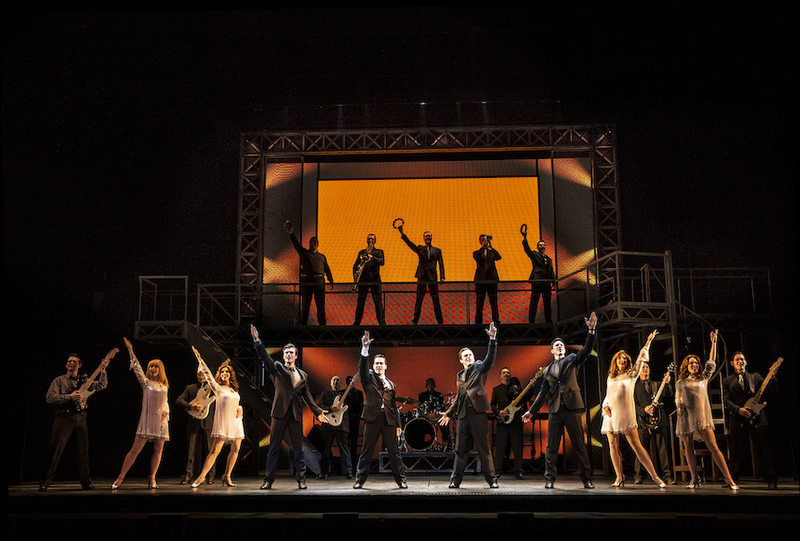 The concept for the show is all there; it is just that as a piece of musical theatre it has not yet found its voice. Designer extraordinaire Catherine Martin has outdone herself with her theatrical flair and incredible attention to detail. Given that she has mostly worked in film, Martin’s concepts for quick costume changes (often in full view) and magical scene dissolves are quite brilliant. There is a terrific synergy between creative elements: direction, choreography, sets, costumes and lighting work as one to tell the story and dazzle the eye. The first 40 minutes or so are exceptionally strong. We are the ballroom audience for the dance sport championships before the scene dissolves back to Scott Hasting’s controversial decision to use his own steps. Another dissolve takes us to the full-sized set of the dance studio and before too long at all, Scott has begun practising with wallflower Fran. 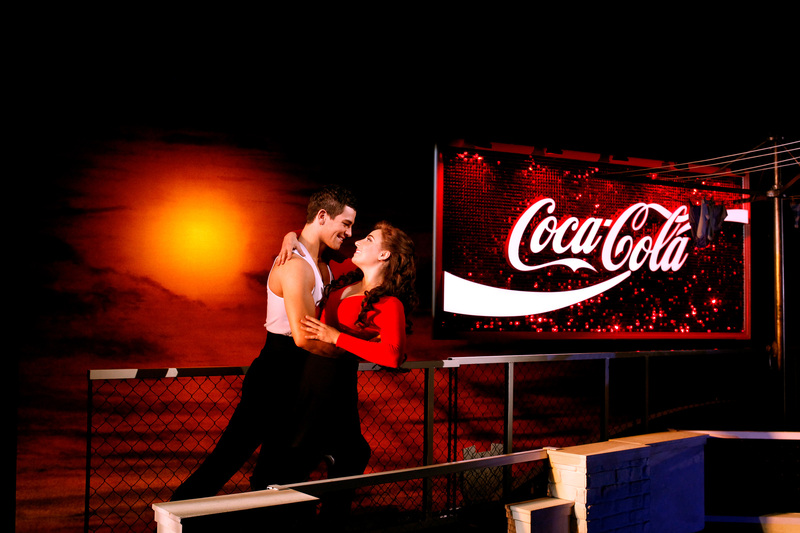 The magical culmination of this sequence sees battler Doug Hastings practising in the studio while, overhead, Scott and Fran dance beneath the rooftop Hills Hoist and glittering Coca Cola sign as the set elegantly revolves. Memorable musical scores are not written by committees. 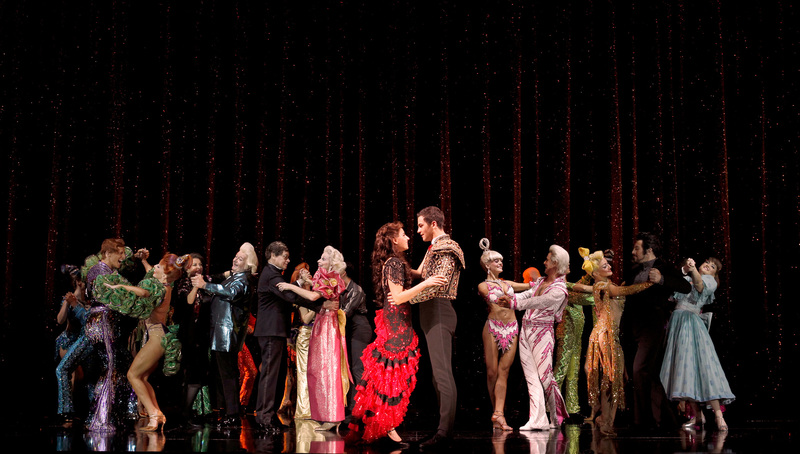 Strictly Ballroom lists some seventeen composers, and that is just for the new music. The roles of musical director and musical supervisor are well established in music theatre, but the (two-person) role of “music design” seems to be a new one. Peter Grubb’s sound design is excellent, but it is hard to tune the ear to clearly hear the song’s lyrics. Worse, there are times when the songs slow or stop the story, rather than achieving the modern music theatre goal of propelling the story forward. “Dance To Win” is an amusingly camp villainous number, but we already know Barry Fife is the bad guy. The usefulness of act two audience warm up “Beautiful When You Dance” is questionable. The lyrics to Carmen’s “Habanera” slow the Spanish dance lesson down considerably. “Beautiful Surprise” is a moving love duet for Scott and Fran, but the happy lyrics about realising they are in love with each other seems to come a time when they apart. One very wise choice, however, is telling the second half of Scott’s “I Wish” song, “Shooting Star,” through dance. 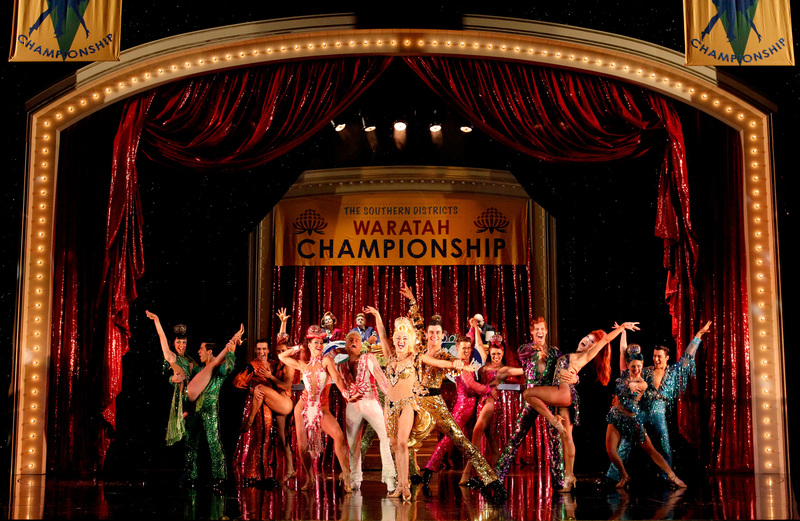 Baz Luhrmann and Craig Pearce’s book features all the characters and incidents we know and love. The filmic mockumentary-style crosscut commentaries are achieved with lightning precision thanks to Hugh Vanstone’s superb lighting design. As well as constantly leading the eye to the character who is speaking at any given moment, Vanstone also brings out every possible sparkle from the costumes, curtains and world’s biggest mirrorball. 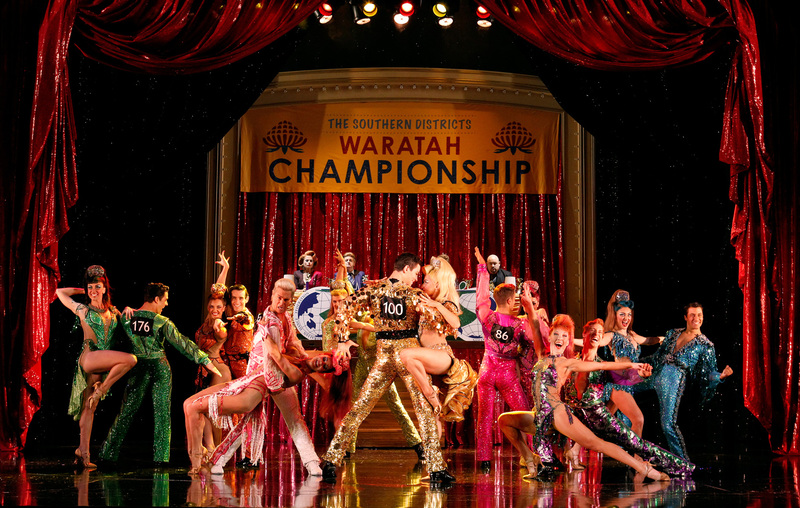 Luhrmann’s direction is so intricately intertwined with John O’Connell’s choreography that the two jobs could be mistakenly seen as being done by one person. Dancers, actors, sets and lights all dance into place with almost constant motion. The same integration was needed between book and score, with some book scenes needing to be told through songs rather than just adding in songs on the top. With production values ahead of the current crop of overseas of musicals (West End’s Charlie and the Chocolate Factory is the only one that comes close) the other impressive attribute is the size of the cast. 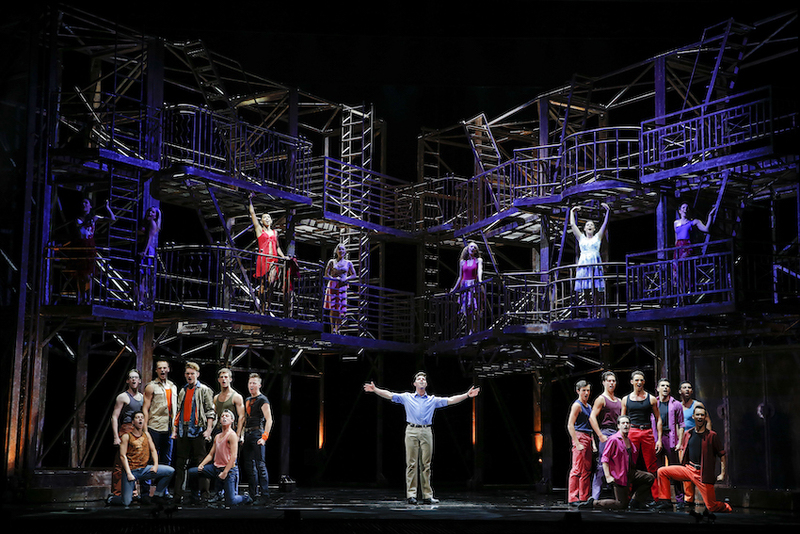 A Broadway cast for a show like this would have 18 performers rather than 36. As well as adding to the spectacle, the extra numbers add an authentic mix of multiple generations, enhancing the heart and the reality of the piece. Not only adept at painting with bright colours, Martin essentially invents an entire second chorus by dressing Fran’s family and neighbours in greys and browns. The talented, hard working cast seem to be having the times of their lives. From the leads all the way though the company, every performer is focused, clearly in character and beaming with pride and enjoyment. More than two months into the run, this matinee performance had the energy and freshness of an opening night but with more of the polish and synergy that come from settling into a show. Leading man Thomas Lacey is a sensational discovery. Tall, handsome and broad shouldered, Lacey is a charismatic actor, has a pure, appealing singing voice and, best of all, is a truly incredible dancer. Hardly ever offstage, Lacey holds our attention with his magnetic presence and impresses constantly with his repertoire of dance moves. Phoebes Panaretos is charming as Fran (just Fran), giving an entirely convincing and engaging performance of the ugly duckling story as Fran blossoms through dance. Possessing a strong belt, Panaretos reveals Fran’s inner voice through select moments of song. Panaretos and Lacey’s chemistry and natural performance level keep the central romance free of schmaltz and predictability. There is an embarrassment of riches in the next tier of leads, with each of the rich, clearly defined characters cast perfectly. Heather Mitchell projects stage mother Shirley Hastings’ manic energy to the back of the balcony. Drew Forsythe is sympathetic and entirely unshowy as verklempt father Doug Hastings. Robert Grubb oozes sleaze and slime as self-serving Dance President Barry Fife. Natalie Gamsu conveys world-weary warmth and affection as Fran’s Abuela. Fernando Mira has a smoldering, authentic presence as Fran’s father Rico. Rohan Browne is a hoot a fading star Ken Railings. 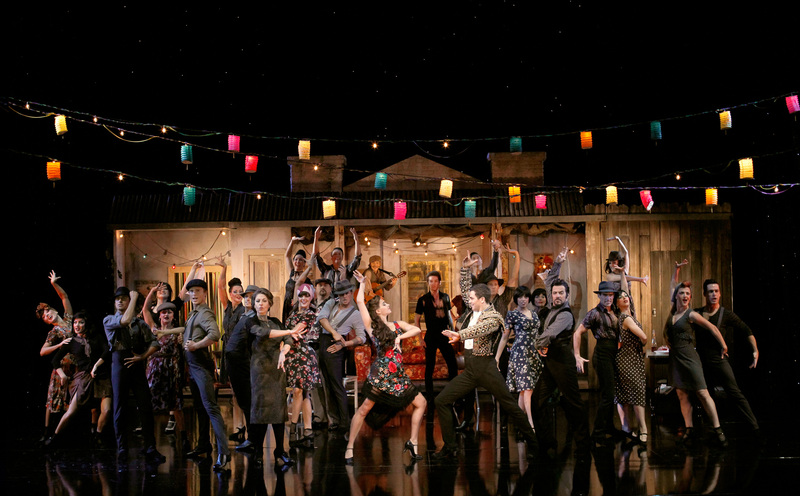 With some necessary tweaks and trims, Strictly Ballroom is bound to be welcomed with open arms to musical Melbourne after this out-of-town try-out up north. 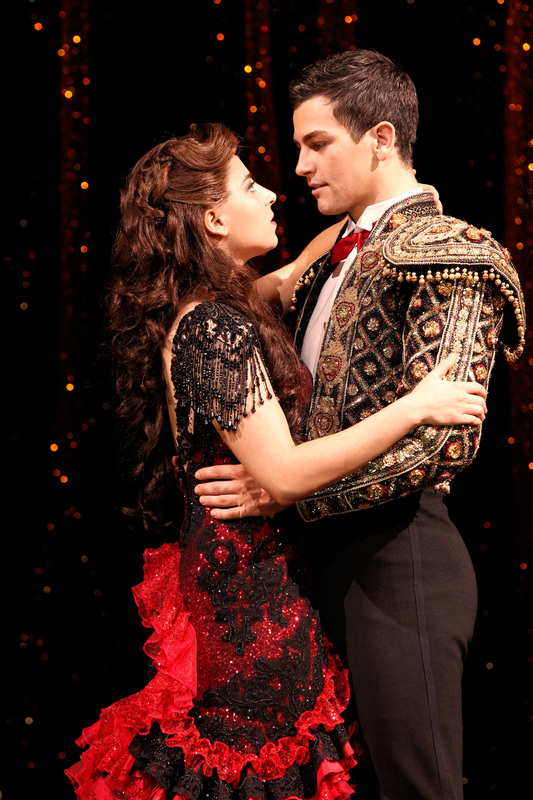 Strictly Ballroom the Musical was reviewed at 1pm Wednesday 25 June 2014 at Sydney Lyric Theatre, where it is currently booking until 14 September 2014 through Ticketmaster.